Chipper B was grounded for more than 4 months. It took just 24 hours to turn it into just a memory. A hole was found in the vessel’s hull. 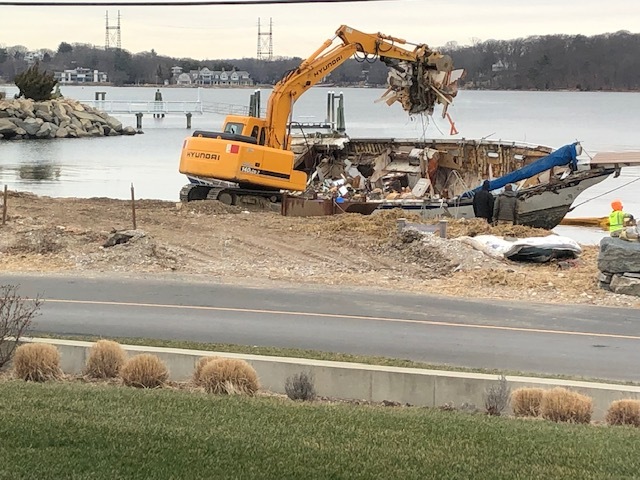 It was declared “derelict.” Now it’s all been hauled away. Chipper B’s Saga Ending Soon? 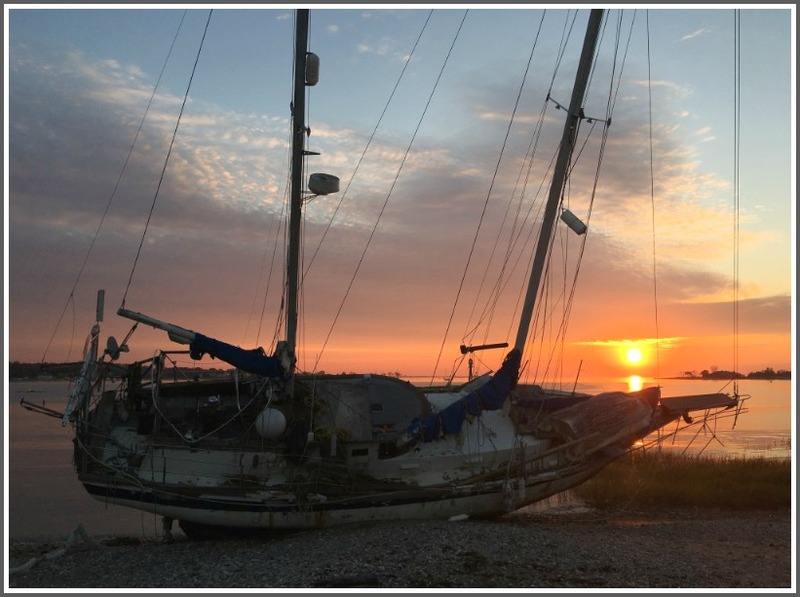 It’s been over 4 months since a nor’easter caused Chipper B to break from its mooring. It washed up on the shores of Saugatuck Shores. It’s been there ever since. 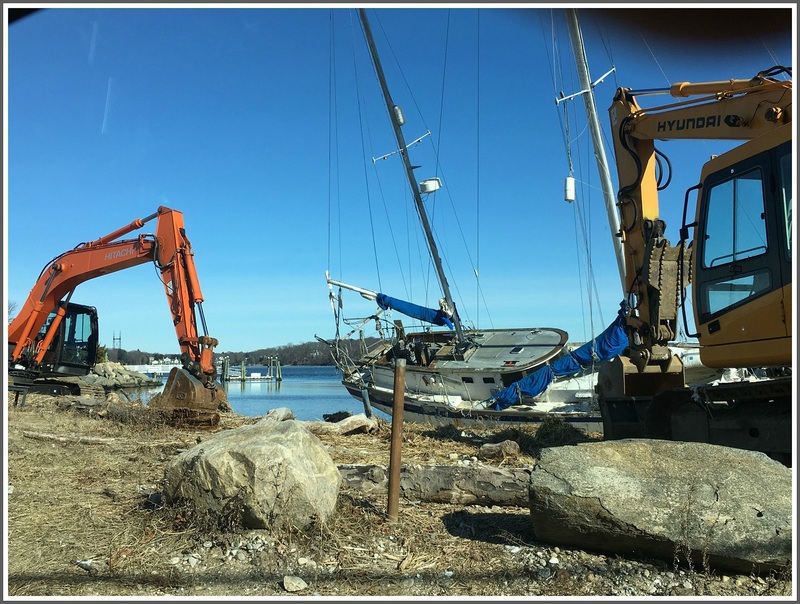 Today, neighbors were pleased to see heavy equipment surround the vessel. It’s not clear what’s happening, or whether the machines belong to the town or an insurance company. But — to the relief of many residents — Chipper B may soon have a new home. Chipper B has a new resting spot. 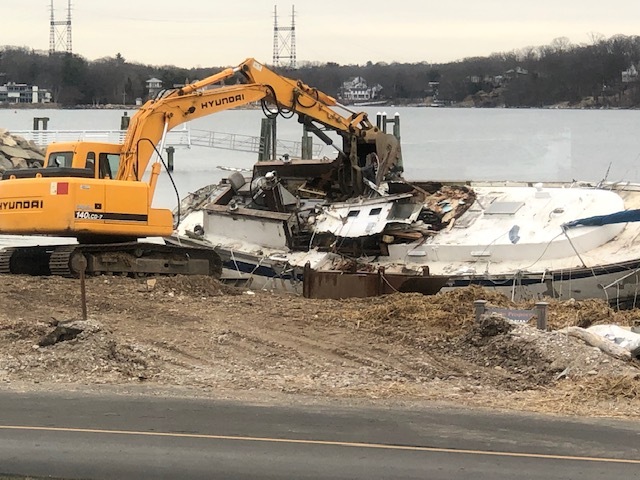 Last weekend’s nor’easter blew the abandoned vessel closer to Saugatuck Shores. At low tide, this is what it looks like.